Nashville Symphony musicians are in the process of performing in three programs featuring the music of the German Romantic composer Felix Mendelssohn. 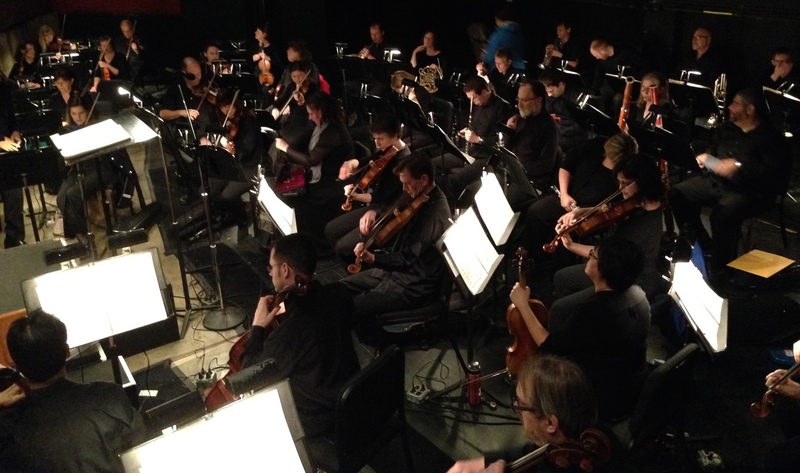 Beginning last Friday through Sunday, the symphony accompanied the Nashville Ballet in Mendelssohn’s A Midsummer Night’s Dream at TPAC’s Jackson Hall. Then (TONIGHT) Wednesday evening, April 29, symphony violinist Jessica Blackwell leads two string ensembles in performances of Mendelssohn’s famous Octet, as well as the Prelude and Scherzo, Op. 11 for string octet by Dmitri Shostakovich, as part of our ongoing Onstage series of free chamber music performances at Schermerhorn Symphony Center. Finally, beginning (TOMORROW) Thursday, April 30 with performances following on Friday, May 1 and Saturday May 2, the symphony will perform Mendelssohn’s Piano Concerto No. 1 with guest soloist Benjamin Pasternack in a program that also includes music by contemporary composer Frank Tichelli and Tchaikovsky’s Symphony No. 6 “Pathetique”. Although the reputation of his childhood powers has been eclipsed by that of Mozart, Felix Mendelssohn may have been the most precocious musician in history. The German poet Johann Wolfgang von Goethe, who heard Mozart play when he was 7 and first met Mendelssohn when he was 12, compared the playing of the two wunderkinds famously as the difference between the talk of a child (Mozart) and that of a cultivated adult (Mendelssohn). Mendelssohn was born February 3, 1809, almost 2 months before Haydn died – Beethoven was 38 and would live another 18 years, and Schumann and Chopin would be born the next year. He was born in Hamburg but his family moved to Berlin when he was two, and it was in Berlin that he received his formative training as a musician and made his first forays as a composer. 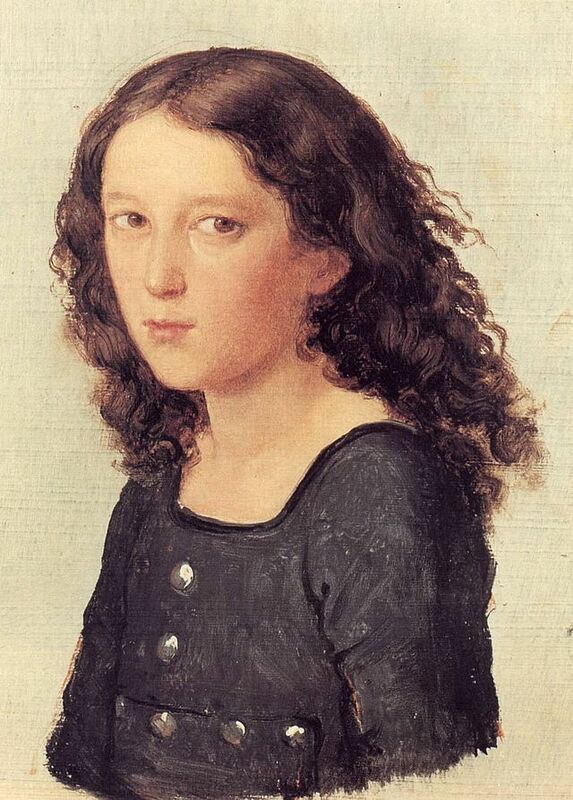 Mendelssohn exhibited a range of talents as a child not only as a musician, but as a visual artist – he continued to draw and paint throughout his life – and as a poet. But it is music that he pursued into adulthood, and for which he is known today. Young Felix’s musical training included piano lessons from the age of 6 with various teachers beginning with his mother, and counterpoint and composition lessons with Carl Friedrich Zelter, who among other things imbued his young protégé with a love for the music of Johann Sebastian Bach. One result of Mendelssohn’s immersion in Bach’s music from an early age was his famous revival performance (at age 20) of the St. Matthew Passion in Berlin in 1829, which today is viewed by many historians as the event that began the (still contemporary) Early Music movement. Under Zelter’s tutelage, Mendelssohn wrote a dozen string symphonies for private performances, and his first symphony for full orchestra at 15. Tonight’s Onstage performance features a performance of Mendelssohn’s Octet for Strings in Eb Major, Op. 20, which he wrote at age 16. The Octet is one of the most highly regarded pieces in the chamber music repertoire, yet is not often performed due to the difficulty in gathering together the necessary players and the logistics involved in preparing for a performance – the last performance of the Octet in Nashville that I am aware of was in 2009, when the combined forces of The Blair String Quartet and The Ceruti Quartet performed the work at Blair School of Music in honor of the bicentennial of Mendelssohn’s birth. It’s a thrilling piece, symphonic in conception and in the impression it makes on the listener, yet a live performance retains the intimacy and immediacy that one expects from chamber music. At 17, Mendelssohn read a German translation of Shakespeare’s A Midsummer Night’s Dream and was inspired by it to compose a concert overture – his Opus 21 – evoking the atmosphere, characters, and scenes from the play. The Opus 21 Overture was not associated with any performance of the play, however 16 years later, Mendelssohn was commissioned by King Frederick William IV of Prussia to write incidental music for the play, into which he incorporated his original overture. The resulting score was the basis for the Nashville Ballet performance the symphony accompanied last week, and includes vocal as well as purely instrumental movements. A Midsummer Night’s Dream is of course, most famous today for the Wedding March, one of the most well-known and most performed pieces of music in the world (those first four notes may even be more instantly recognizable to more people than the first four notes of Sunshine of Your Love). Mendelssohn traveled extensively throughout Europe in 1830, receiving the traditional “grand tour” due to the scion of a wealthy family. He began to compose what would be called his Piano Concerto No. 1 in G minor (he had already written a piano concerto in A minor when he was 13) on tour in 1830 and completed it in Munich, where he first performed it, in 1831. He had not yet turned 22. Like Beethoven’s Fourth and Fifth Piano Concerti, in Mendelssohn’s G minor concerto the piano enters very early in the first movement (in this case after a dramatic seven bar crescendo) without the traditional elaborate introduction by the orchestra. Beethoven cast a long shadow over music in the nineteenth century, and over Mendelssohn’s music as much as many other composers – the Emperor concerto had premiered only in 1811, and Beethoven died less than four years before the premiere of Mendelssohn’s Concerto No. 1. His influence can be felt strongly in the demands placed on both the pianist and the orchestra, the grandeur of the musical ideas set forth, and the intensity and frenetic pace of much of the concerto. 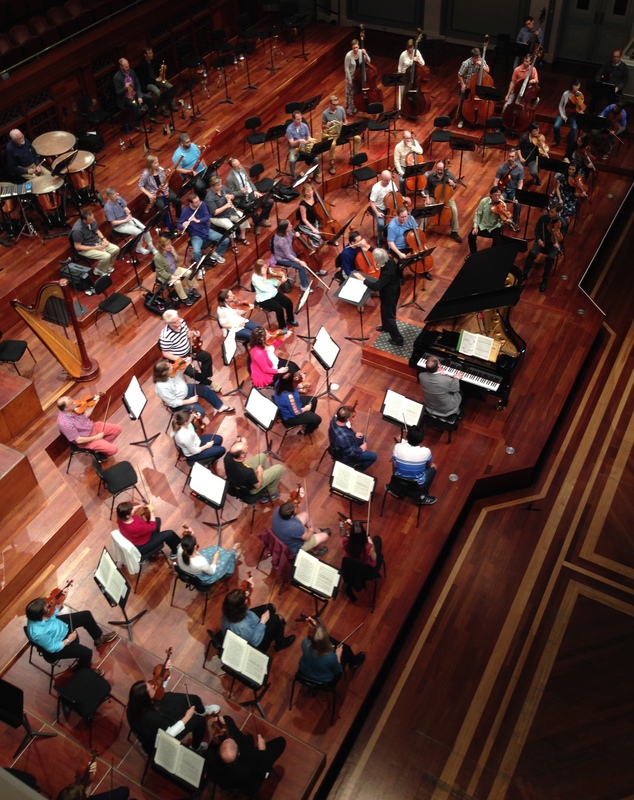 Although the G minor concerto does have the traditional separation into three distinct movements on paper, these movements are connected together into one continuous whole in performance – an innovation on Mendelssohn’s part. Ingrid Fliter, who was originally scheduled to perform the concerto with the symphony this weekend, was suddenly unable to perform earlier this week. Remarkably, Benjamin Pasternack, who teaches at Peabody Conservatory in Baltimore and has performed with symphony orchestras throughout the world, was able to come to Nashville on one day’s notice to take her place. Both Mozart and Mendelssohn died young – Mozart at 35 and Mendelssohn at 38. Both were prolific composers and left behind vast catalogs. Unlike Mozart however, Mendelssohn has been criticized by some as never having outgrown his “youthful” style: that the music he wrote in his thirties does not generally exhibit a maturation beyond what he achieved in his teens. Historians have also ventured the opinion that perhaps if he had suffered more setbacks in his life and not had such a privileged upbringing, his music might have explored greater depths. His music is full of energy and elegance, but for some these are only brilliant surfaces. For these reasons, and also to a great extent because of the repression of his music by the Nazis, a full evaluation of Mendelssohn’s oeuvre has yet to be made. By walterbitner in Chamber Music, Nashville Symphony, Orchestral on April 29, 2015 .